the rikrak studio: HURRY! 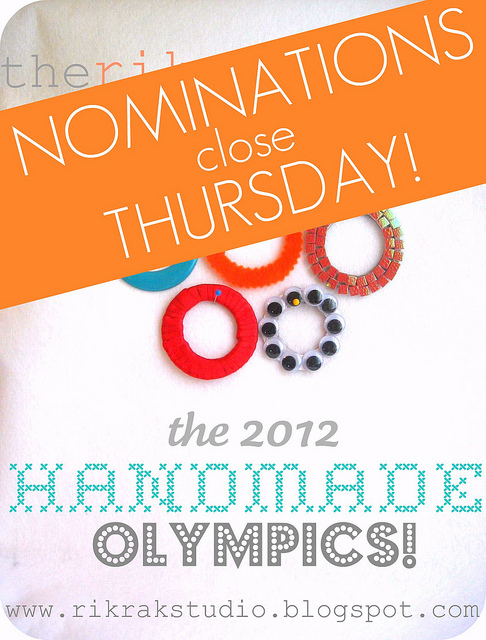 nominations CLOSE this THURSDAY april 5th! 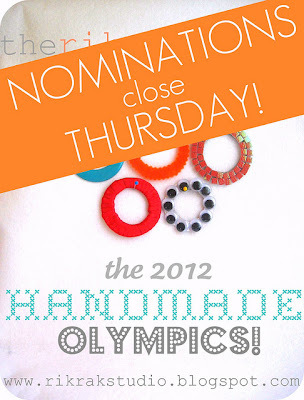 2012 handmade olympics event, cuties! $1700 in prizes to both nominees & the nominators up for grabs, too! yay! i just LOVE seeing what you love!